With wildfires scorching the western U.S. and Canada and record-breaking heat waves in normally temperate climates like Europe, the impact of climate change is very much in the news these days. Heatwaves and droughts across large parts of Europe and Australia are causing massive reductions in crop yields this year. A divided political climate, particularly in the U.S., has inhibited collective solutions to the problems of climate change and the greenhouse gases that are causing it. Still, most countries are signatories to the Paris Climate Accord and an ever-increasing number of investors and business leaders are actively looking for solutions to the problems that climate change is causing. The key is to find commercially scalable solutions that provide healthy returns to investors. Without a financial incentive to reduce emissions, businesses stuck in a quarterly reporting cycle find it challenging to justify the investments needed to address these. Pond grows algae for various lucrative uses, using its industry-leading, made-in-Canada technology. 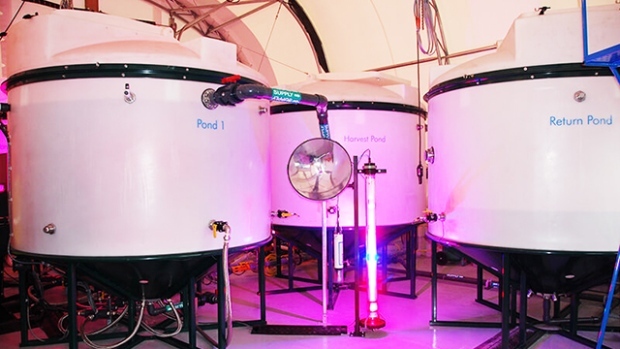 Pond Technologies Holdings Inc. (TSX.V: POND) believes it has found a way to make emissions reduction financially viable by connecting its photobioreactors — large tanks equipped with sensors and specialty lighting — to emission-producing industrial plants. The company’s modular, scalable bioreactors grow algae — a carbon dioxide (CO2) gobbling organism that serves as a surprisingly lucrative product. 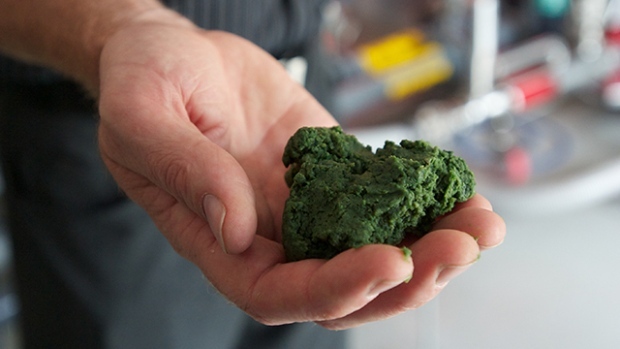 Pond has one pilot plant in operation, two commercial facilities under development with Ontario-based industry partners, and is laser-focused on ramping up algae production at commercial scale. One facility is Markham District Energy’s Warden Energy Centre, while the other facility is an add-on to Stelco’s Lake Erie Works steel mill. Success at these facilities should help Pond attract more capital. Indeed, this is already happening as Connecticut-based private equity firm Inventiv Capital Management recently signed a letter of intent to fund up to US$100 million of Pond’s projects across North America. In providing this level of backing, Inventiv no doubt looked at the myriad of potential applications for industrially produced algae. Chief among those uses is as a feedstock for the world’s fish farms. It’s projected that the global population will require 70 per cent more food calories by 2050. Current pressure on the world’s fisheries will make commercial protein production essential for the survival of wild fish stocks. Certain types of algae are rich in omega fatty acids and other ocean-borne nutrients, thus providing excellent feed for commercial fish farms. “As the oceans get fished to the brink, our technology portfolio will provide a commercially scalable growth platform that can farm any microalgae as a as a sustainable source of marine protein,” says Martin. One in-demand algae product is Astaxanthin, extracted from a naturally occurring microalgae that give salmon and shrimp their signature red colour. This extract can fetch prices in excess of $50,000 per tonne. Due to its modular, highly efficient design, Pond’s technology can potentially deliver thousands of tonnes of algae to global feed producers without competing for scarce agricultural land or water. In fact, a small Pond bioreactor contained in one shipping container can yield more feed than 10 acres planted with corn. Pond is also pursuing the nutraceutical, health supplement, and natural food colouring verticals. Thanks to a production system that allows it to grow clean, premium-quality nutraceutical algae, the company has the ability to tap this burgeoning market. 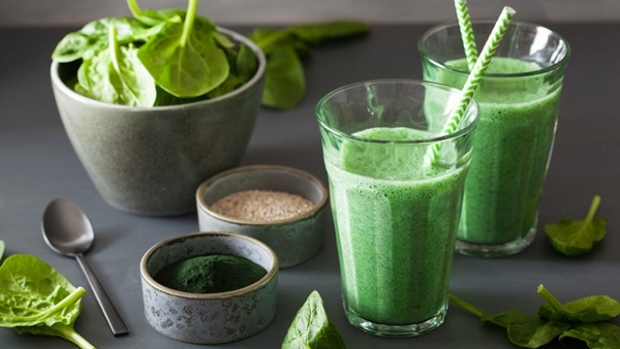 Spirulina algae, in particular, is well-established as one of the most protein-dense and nutrient-rich supplements available. And, while Pond’s bioreactors can and will be hooked up to carbon dioxide emitting plants to reduce emissions, its technology works equally well using bottled, beverage-grade carbon dioxide, if desired by Pond’s downstream partners. Pond’s patented bioreactors can grow algae 20 times faster than conventional producers. The company’s closed-loop system avoids the bacterial contamination issues that legacy operators must contend with in conventional open pond systems — bird fouling or pollutants from flash floods and rain. Scientists point to the long-term health benefits of Spirulina and other algae-based supplements. As the company works to construct its first commercial-scale operations, it will continue to seek new markets for its products. Other uses for algae become evident when one considers that the world’s oil reserves consist mainly of ancient algae. Just like oil, algae can be converted into fuels or fibers for plastic. There is a growing demand for green cosmetics, green cleaning products, and green fertilizer. Further, algae can be mixed with traditional polymers to make a biofoam for use in products from running shoes to mattresses. This article was prepared with contribution from Pond Technologies Holdings Inc. ("Pond") and contains forward-looking statements within the meaning of applicable securities laws, including statements identified by words such as "believe", "expect", "will" or similar expressions and includes suggestions of future outcomes. These forward-looking statements are based on certain key expectations and assumptions made by Pond concerning the ramping up of algae production, the commercially scalable growth platform, the rate of growth within Pond's bioreactors and the availability of new markets for its products. Although Pond believes that the expectations represented by such forward-looking statements are reasonable, Pond gives no assurance that such expectations will prove to be correct. Additional information about risks, assumptions, uncertainties and other factors that could cause Pond’s actual results to differ materially from those expressed or implied by its forward-looking statements is contained under "Risk Factors" in Pond's MD&A for the period ended June 30, 2018, available at pondtech.com. Pond undertakes no obligation to update or revise any forward-looking information except as required by law.